<br/>Apple News+ adds an even more expansive collection of high-quality stories to the free experience of Apple News, which is the No. 1 news app and delivers current events coverage from trusted sources.<sup>1</sup> All Apple News users in the US, Canada, UK and Australia can continue to enjoy the free news experience within the app on iPhone, iPad and Mac, including access to Top Stories, Trending Stories and a personalized feed of articles. <br/>Apple News+ showcases magazines in richly designed layouts, featuring animated covers, vivid photography and bold typography optimized for iPhone, iPad and Mac. It makes reading articles even more fun, immersive and convenient. In the Today and News+ tabs, subscribers will be presented with individual article and issue recommendations based on both editorial curation and personalized suggestions that maintain user privacy. 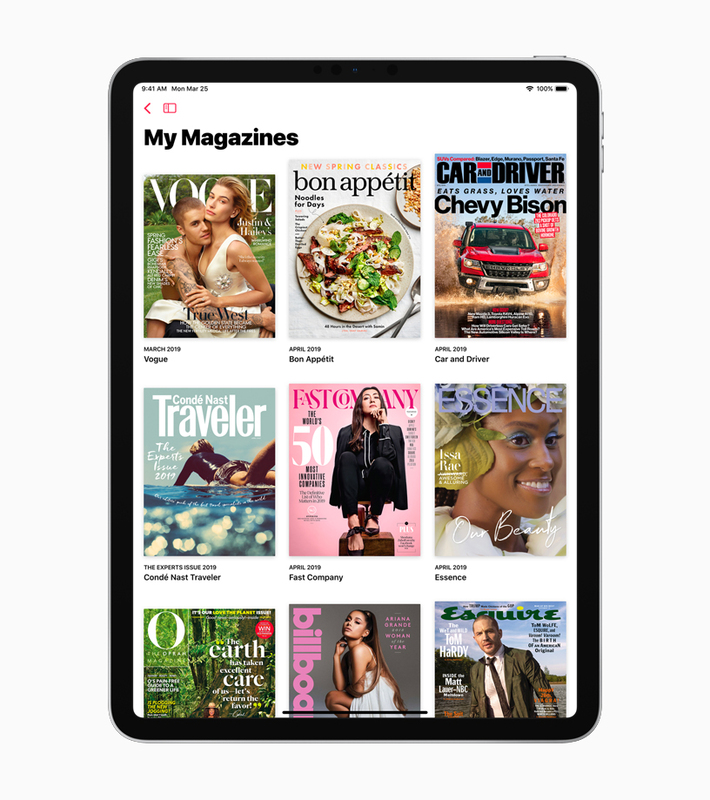 <br/><a href="https://www.apple.com/apple-news/" target="_blank">Apple News+</a> is available today in the US for <strong>$9.99</strong> a month and in Canada for <strong>$12.99</strong> a month. Customers can sign up for a free one-month trial, and the plan automatically renews after the trial ends. To sign up for Apple News+, customers must update to iOS 12.2 or macOS 10.14.4. Through Family Sharing, up to six family members can share one Apple News+ subscription. Apple News+ will be available in the UK and Australia later this year. <sup>3</sup> Title availability varies by country.